Casper Children’s Dental Clinic performs specific services and utilizes advanced technology to set itself apart as a pediatric provider. 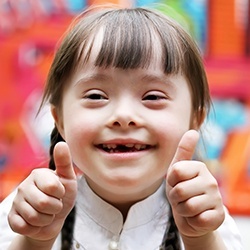 These services are utilized to provide the most precise, child-specific care to your family. We’re happy and able to treat a wide variety of children here in Casper, including those with mental and physical special needs. 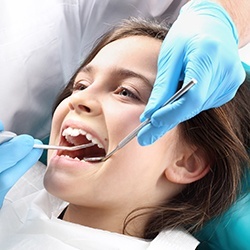 Our team has years of experience providing this particular kind of dentistry, and we work diligently to personalize each visit so that both parents and children can always leave with a smile. We can schedule individual time at our clinic and make any accommodations necessary to deliver a smooth and stress-free experience. With orthodontics, the Paulsons can correct spaced and misaligned teeth, address occlusion (bite) issues, as well as guide the oral development of your child in order to give them a healthy, beautiful, and functional smile they’ll be able to enjoy for a lifetime. We can provide orthodontic care at all phases of a child’s development, utilizing both interceptive and comprehensive orthodontics (braces). In the end, we’ll make sure your child can get everything they need here at CCDC. A dental office can be a bit of a scary place for a child, and this fact isn’t lost on us, which is why our team goes out of our way to ensure our patients’ comfort. 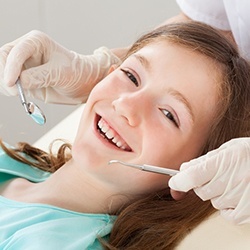 For particularly nervous children, we offer in-office sedation dentistry to calm their nerves and ensure they stay completely relaxed while in the chair. 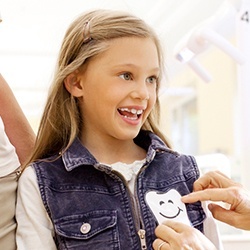 At Casper Children’s Dental Clinic, we use a digital x-ray system that is custom-fit for children. Our PSP plate x-ray system is less bulky and smaller in size than traditional digital x-rays. Our staff is always comforting while highly successful at obtaining dental radiographs on young children and those with a gag reflex. Our Pan/Ceph machine is also digital and capable of obtaining x-rays of your child’s head from different angles in order to assess his/her growth and the eruption of his/her teeth. We can even take a hand/wrist radiograph in order to predict your child’s adult height! 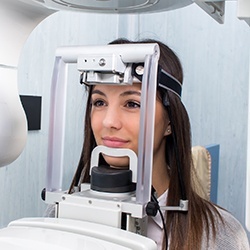 X-rays are also necessary to look for cavities in between the teeth, recommended after trauma to a tooth, and allow us to check for underlying problems like a dental abscess. They will only be taken when appropriate for the health and development of your child. Unique situations in the growth of a child sometimes necessitate more advanced procedures that can require the removal of soft tissue that may be infected or abnormally influencing the development of your child. Our soft tissue laser easily removes undesired tissue with minimal pain and bleeding. 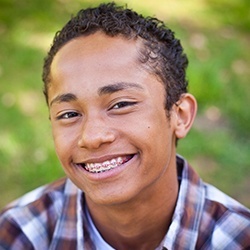 CCDS specializes in frenectomies that can assist with orthodontic correction of a child’s gap (ie. diastema), correct speech or nursing problems brought on by a tongue-tie, and prevent gum recession. After the administration of local anesthesia, the procedure is pain-free. The use of a laser allows for faster healing time and prevents excess pain and bleeding. Sometimes, for whatever reason, a permanent tooth will have a difficult time erupting into the mouth. The electrocautery device can remove fibrous tissue over an impacted tooth allowing it to erupt into alignment with the rest of the arch. 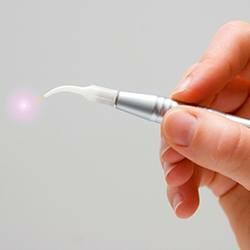 It can also be used to remove painful, infected tissue over a child’s erupting tooth. CCDC specializes in the exposure and orthodontic bonding of impacted teeth. The soft tissue electrocautery unit aids in tooth exposure while preventing bleeding, so an adequate bond can be made to the impacted tooth.